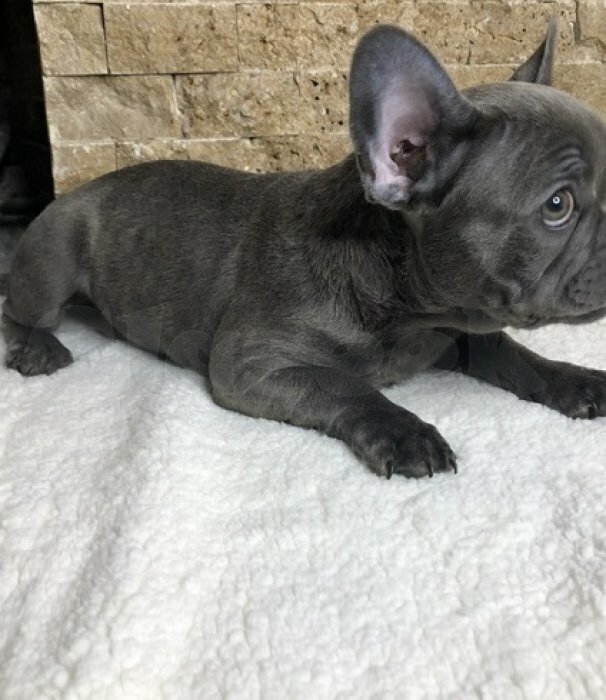 Nina is a beautiful little medium French Bulldog, shes more apricot in color, she is very sweet and very easy going, very quiet and every puppy loves playing with her. She is 9 weeks old, has been vet checked and was free from heart murmurs, excellent tight hips and knees. She will be on the smaller side I would expect her mature weight to be 18-22lbs. Video can be made available to serious inquiries only.Text & Call Us At (501) 819-3740.